We strive to make a tangible impact in the lives of Native American youth by inspiring and encouraging them to pursue their dreams. This fall we visited several schools and spoke with students about overcoming daily challenges and setting goals that will help guide them to a brighter future. We are determined to let them know they are not alone and they are not forgotten. Kansas and Kyal Middletent of Native Hope visited the Santee Middle School and High School in Santee, Nebraska to stress the importance of education and to spread a message of hope reminding students that they are not alone. After they led the students in various games and challenges, they explained that in order to live a healthy life, they must take care of themselves physically, mentally, spiritually, and emotionally. When Kansas and Kyal arrived at the Dakota Wesleyan campus, the football team was finishing practice for the day and preparing to face the seventh-ranked team in the nation. The brothers shared their personal stories of success and failure with the athletes, and they encouraged them to pick each other up and to push each other every day to strive for excellence. 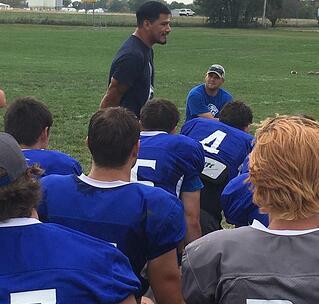 Character coach Tim Weidenbach shares, “Kyal and Kansas graciously came over to Mitchell, South Dakota, and spoke with the Dakota Wesleyan football team. Their talk was both informative and inspirational. They touched on the enjoyment they had playing football and still have playing sports and the bond they have with their teammates and brothers playing sports. They went in depth about persevering through the ups and downs not only of an athletic season but also in life." On September 7, 2017, Native Hope was honored to be guests at Marty Indian School in the beautiful Ihanktonwan Nation (Yankton Sioux Tribe). They spent the morning visiting a few of the classrooms and playing with the younger students. In the afternoon, Kansas and Kyal interacted with the older students. They laughed and joked with them and reminded them that they all have more things in common with each other than they realize. As a group, they discussed prominent social issues and brainstormed different ways to deal with them by focusing on the “Three Cs” of choices, character, and commitment. 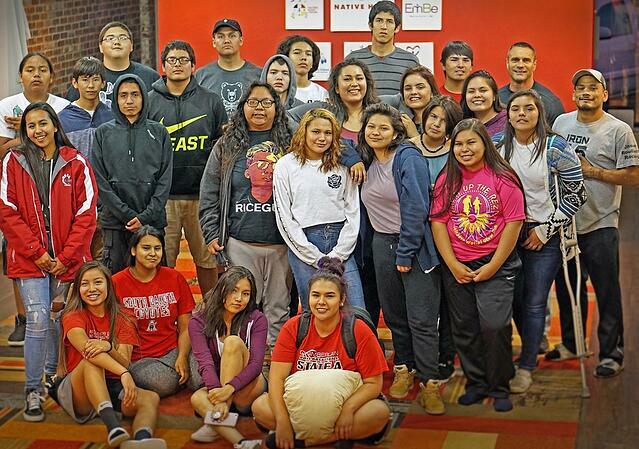 On September 16, 2017, Native Hope arranged a lock-in for our Leaders’ Society members to come in and enjoy a fun night of activities. The evening began with 40 members gathering at our main headquarters in Chamberlain, South Dakota. We started off with the usual format of greeting one another and forming our circle of support to talk about our monthly lows and highs. Typically, this is our time to encourage one another by giving a compliment or simply showing our support. After we talked about our lows, we discussed our highs and focused on the things that were going well such as grades, sports, or personal achievements. Three hours and 80 games later, the kids were finally ready to go back to the building and start the video game tournaments. Each of our three TVs was being used to the fullest with an Xbox 360 on one, a PlayStation 4 on the other, and non-stop movies playing on the last one. 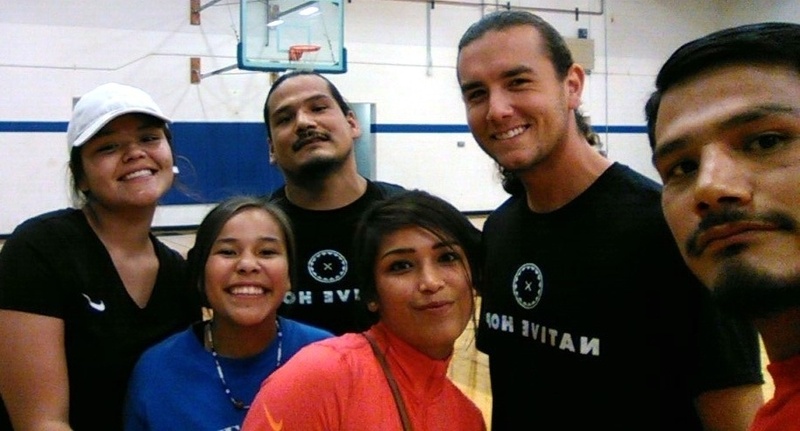 We are determined to give Native American youth a platform to be heard and to equip them with the support and skills to pursue their goals for a successful future.